The SURVIVOR FILTER PRO Microfilter is the best of its kind on the market today. With a filtration level to an unbelievable 0.01 microns, the highest level available on the market today for any kind of portable water filter. Thanks to its TRIPLE FILTRATION (Cotton Mesh Filter, Carbon Filter and UF Filter (Medical Grade). 20 times more efficient than the competition at 0.2 microns. 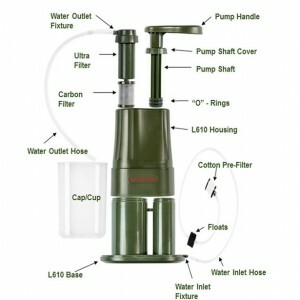 Chemical Free, it replaces 1000 plastic water bottles (264 Gallons) then Filters can be Cleaned or Replaced with Ease. Durable but Weighs Only 8 Ounces and works with most Hydration Systems on the market today. Ideal for your Bug-out Survival Bag, Emergency Preparedness, Travelling, Camping and Fishing! Survival in an urban or outdoor environment after any kind of disaster will likely become difficult, and if the grid goes down, even more so. Water will not be available on tap like we are used to. We cannot survive more than three days without water, and as recent events have shown us, even grocery store shelves quickly become bare. Eventually, you would have to look for alternative sources of water like a nearby pool, natural water sources like lakes, ponds, rivers, streams and creeks. But even if you do find an alternate water source, it is simply not convenient or practical to boil water to render it safe to drink all the time. While water filtration is certainly one of the more convenient methods of water treatment, it is also the only truly practical solution. Many packable filter options will reduce turbidity and remove particulates all the way down to 0.2 microns eliminating most waterborne bacteria including salmonella, cholera and E.coli, and waterborne protozoa including giardia and cryptosporidium. For most water sources in North America, that is probably all of the filtration that you would ever need. 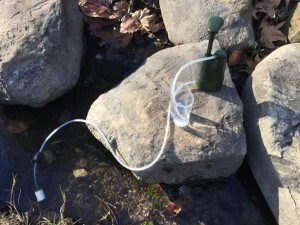 The personal straw-type Survivor Filter is capable of filtering particulates down to .05 microns, but the Survivor Filter Pro has taken personal water filtration to an entirely new level, removing impurities and particulates all the way down to .01 microns with their three-stage filtration process that not only removes most bacteria and protozoa, it also removes some viruses and many other contaminants like chlorine and some heavy metals with the use of an integrated carbon filter. This is a feature that most personal water filters do not have. 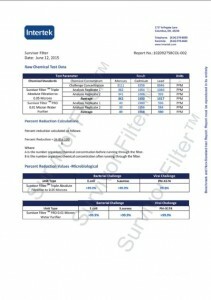 Literature available on the Survivor Filter website documents that Intertek Labs located in Columbus, Ohio has tested and certified that the Survivor Filter and Survivor Filter PRO filtration units have been proven to remove 99.9% of E.Coli, Staphylococcus aureus and Phi-X174 from water. The pump handle, housing and body of the Survivor Filter Pro are made from a rugged BPA-free ABS (Acrylonitrile-Butadiene-Styrene) plastic for its light weight and extreme durability. The filter is 7″ long, 3″ wide, 2″ deep and weighs only 11.5 ounces altogether. It comes with a durable clear BPA-free plastic cup about 2-cups in size that covers the upper two-thirds of pump housing when not in use. 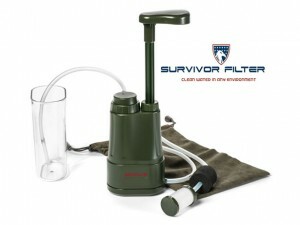 The Survivor Filter Pro includes a protective microfiber sack and all of the necessary tubing to make it work. The Survivor Filter Pro has a no-hassle 30-day money back guarantee, and a limited lifetime warranty. If your Survivor Filter Pro begins to show any manufacturing defect not caused by normal wear and tear, contact them directly for an immediate resolution. The three-stage water filtration process consists of a sediment pre-filter, an activated carbon filter and a hollow-tube membrane ultra filter. The cotton pre-filter module is approximately 1″ in diameter and 1.5″ long and is used to prevent sediment and large particulates from entering the filter unit, damaging the pump seals and prematurely clogging up the Activated Carbon Filter and Ultra Filter. While the pre-filter module can be cleaned regularly to make it last longer, replacement pre-filter modules are available directly from the Survivor Filter website, and can also be found on Amazon for around $6.95 each. The second stage of the filtration process consists of sending water through an Activated Carbon (AC) filter module before it reaches the Ultra Filter module. The carbon module is approximately 1″ in diameter and 1.5″ long, and threads directly into the base of the Ultra Filter module inside the filter unit. The granular activated carbon is made from burnt coconut shells having a highly porous surface area which has the natural ability to attract and absorb chemicals, heavy metals and other impurities from water. 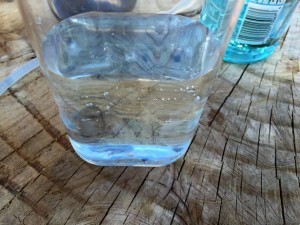 As the water passes over the surface of the carbon, contaminants are drawn into the pores where they become trapped resulting in clean, odor-free drinking water. For best results, the activated carbon filter module can be cleaned regularly to make it last longer, but should be replaced every 264 gallons under normal conditions. This should last one person about 6 months with everyday use. Replacement activated carbon filters are available directly from the Survivor Filter website, and can also be found on Amazon for around $12.95 each. The Ultra Filter (UF) is the final stage of the filtration process. It is completely encapsulated in an rugged ABS housing and consists of a medical-grade fiber membrane which is essentially hundreds of small porous hollow tubes that looks a lot like thin spaghetti noodles that are about 6″ long. This membrane acts like a barrier, effectively polishing the water by preventing waterborne impurities and particulates 0.01 microns or larger from passing through it. This includes most bacteria, protozoa, and some viruses. The UF module is designed to process up to 264 gallons, though it can be backflushed as necessary by flushing clean water in the reverse direction to clear the pores of the membrane. Hollow fiber membranes can work at various temperatures, though the filter membrane can become damaged if left to freeze. If the water source is particularly dirty or contaminated however, replacing them more frequently may be necessary to keep your Survivor Filter working optimally. UF replacement filters with the threaded cap and filter outlet attached are readily available directly from the Survivor Filter website, and can also be found on Amazon for around $12.95 each. To ready the Survivor Filter Pro filter for use, simply attach the pre-filter module to one end of the .25″OD clear food-grade silicone tubing labeled “Inlet Hose”. The other end of the 39″ hose attaches to the filter inlet located at the base of the filter itself. Once attached, fully submerge the pre-filter module into the water source. There are two adjustable floating discs designed to suspend the pre-filter module just above the bottom of the water source where the bulk of the mud and sediment are located. I also like to wrap the pre-filter module with a cloth to pre-filter the water before it even reaches the cotton pre-filter when the water is really dirty just to make it last a little longer. The 12″ “Outlet Hose” attaches to the filter outlet port on the top of the circular UF filter module located near the pump handle. 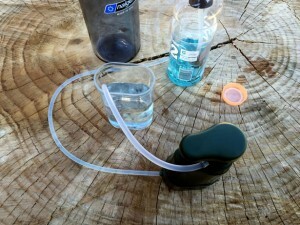 The tube is then used to fill any cup or bottle, and can also be used to fill a hydration bladder by connecting the Survivor Filter Pro to it directly. Place the filter unit on a solid platform and begin to pump the handle up and down several times, until the water flows steadily on each down stroke. It is always a good idea to allow some water to pass through the filter before capturing it to blow out any residual carbon dust from the pump unit. When the Survivor Filter Pro is working optimally, it can filter as much as 17 ounces of water per minute. But when the flow begins to slow to the point of being difficult to pump, first try to clear any debris from the cotton pre-filter. If that does not improve the flow, it may be necessary backflush or replace the UF, carbon and cotton sediment filter modules as well. This is done by sending clean freshwater in the reverse direction to flush out the pores of the fiber membrane and filter modules as directed in the manual. NEVER use commercial cleaning solutions or chemical products to clean the Survivor Filter to prevent any undue damage to the filter and media. The Ultra Filter can be soaked in vinegar for 20 minutes to disinfect it, but not the activated carbon filter. Simply rinsing and drying the activated carbon filter is all that is necessary. After each use, it is always a good idea to blow out any remaining water that might still be inside the filter unit, and be sure to let it air dry thoroughly before putting it away to prevent mildew, especially for long-term storage. One clear advantage of the Survivor Filter Pro are the easily replaceable filter modules. The filter unit and the replacement modules can be stored indefinitely in a clean and dry place, just keep them sealed in their original packaging until they are needed. Additionally, it is best not to store them in direct sunlight, and keep them away from excessive heat sources whenever possible. A small store of filter modules can effectively turn a Survivor Filter Pro into a long-term water filtration solution at a fraction of the cost of other personal filters without replaceable filter media. When I test products that I am reviewing, I like to perform tests that are measurable as much as possible, without having a laboratory and a bunch of expensive electronic testing equipment on hand. Especially when it comes to water filtration. I find it silly to recreate ridiculous tests just for show that prove absolutely nothing whatsoever. Were there actually hazardous microorganisms and biohazardous waste in the water, who really knows? It is not that I don’t trust a manufacturer’s claims, I just prefer to err on the side of caution as I attempt ratify them. Especially when it comes to health and safety risks in a non-emergency situation. The only way to know if a filter truly works as advertized is with a high-end microscope in a controlled test environment which is why laboratory certifications are so important. Furthermore, living in desert in Southern California, there aren’t very many water sources not directly attached to a stormwater collection system, all with a high-likelihood of dangerous chemical and insecticide runoff in the water so I am not into the idea of ingesting a bunch just for fun. Now if I was located anywhere else in the US not in a city or suburb, I’d be much more open to taking a filtered drink. The first test that I performed with the Survivor Filter Pro was one that most reviewers do when they first get a water filter in the mail. I tried running some of the heavily-chlorinated city tap water through it just to see how the taste and smell would be affected. As I had expected, the filter was able to remove most of the chlorine taste and smell out of the water leaving water rather palatable. Next, I scooped up a bottle full of water from my pool to test. I already new just how heavily chlorinated it tasted, but I wanted to see how much of a difference that this filter would make. I filled up the clear cup with the filtered water and took a swig. The filter really made a huge difference leaving the water tasting much like the filtered tap water. For the final test, I decided to test the Survivor Filter PRO in a measurable way by filtering Gatorade with it to see how much of the coloring and sugary taste that it could remove. I’ve performed the same test with other filters in the past with varied results. I figure that if a filter can remove the color from Gatorade, then it is probably a pretty good filter. If it can also remove most of the sugary taste as well, then it is a likely great filter. If it can remove all of the color and taste, then it is an exceptional filter. After running a few cups of Gatorade through the filter, I was happy to see the resulting liquid came out completely clear. Not a trace of color whatsoever. Then I took a drink and found it rather refreshing, with only a hint of flavor. It performed much better than straw-style Survivor Filter that I reviewed previously. 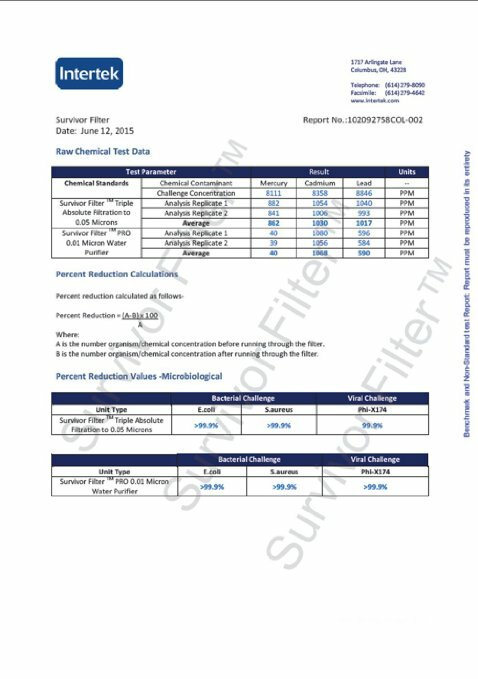 Based on these results in combination with the certification provided by the independent North American laboratory, I am very confident that the Survivor Filter Pro can render freshwater from most local waterways and bodies of water safe to drink, but I would refrain from using it to filter urine or water from a toilet bowl. Now that I felt comfortable with the quality and level of filtration that it provided, I decided to try my hand at filtering some water from a local stream just to give it a little taste. Sure enough, the water tasted clean and fresh. I am really impressed with this little filter unit, though I certainly won’t be making it a habit of drinking from urban tributaries. The Survivor Filter Pro is a rugged water filtration unit capable of removing microscopic particulates all the way down to .01 microns with a highly-effective three-stage filtration process that not only removes biologic hazards, but also harmful chemical contaminants and some heavy metals with the use of activated carbon. The entire unit only weighs 11.5 ounces and it is no bigger than a bottle of water so it should fit in most any pocket in your backpack. The Survivor Filter Pro is easy to clean and maintain, and the filter modules are easily replaceable making it a viable long-term water filtration solution, perfect for inclusion in any emergency preparedness plan. The filter modules can be purchased separately and stored indefinitely along with the filter unit itself providing exceptional value. I find the Survivor Filter Pro to be an excellent choice for backpackers, preppers, survivalists and global travelers alike. 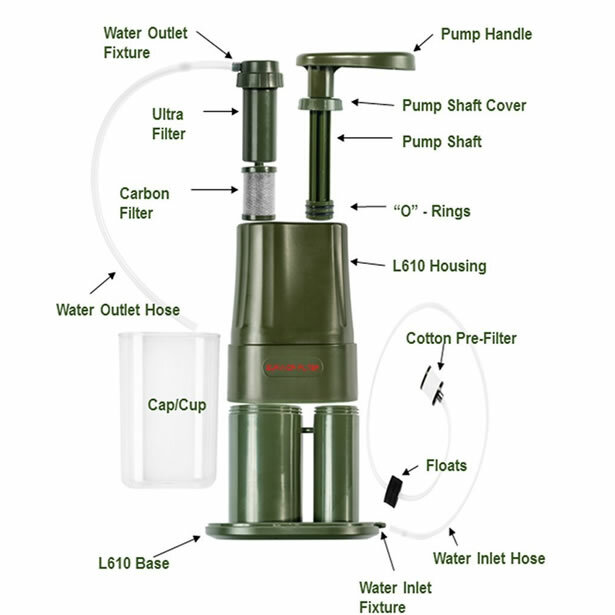 While it is not quite as compact, lightweight, or convenient to use as the smaller Survivor Filter, I found the filtration capabilities to be much better so if you are looking for a great personal water filter for your family that won’t break the bank, the Survivor Filter Pro would be a great. Two thumbs way up! Survivor Filter was created following my former career consulting on military operations where I worked with US and other allied military and diplomatic personnel on and in troubled hot zones including Kosovo, Iraq, Libya and Somalia. By these experiences, I came to understand that access to clean water is no longer something we humans can take for granted, especially as water is slowly becoming the most precious commodity on the planet, even more than oil. This is why Survivor Filter was created to provide every person in North America with access to clean, drinkable water in any environment. At Survivor Filter, were here to serve our customers, providing them with an unbeatable warranty and a range of products at an unbeatable price. We want every person in North America to use our products whether they are camping, hiking, backpacking or just staying prepared.